Air Flix is a fast paced, Second World War, dexterity based dog fighting game for 2 or more players. In an all-action battle of strategy & skill, you will need to outwit and out-flick your opponents to achieve total aerial dominance! Slick, intuitive game play, multiple game modes & variants combined with components of the highest possible standard, make this the perfect action dog fighting game for both hardened wargamers & casual players alike. Air Flix goes live on Kickstarter June 5th! A sight to behold & durable to boot, the 3' x 3' neoprene Air Flix play mat is the perfect surface for precise, aerial maneuvering. Develop the skills and learn all the tricks to handling your planes with the flare of a true wartime ace. 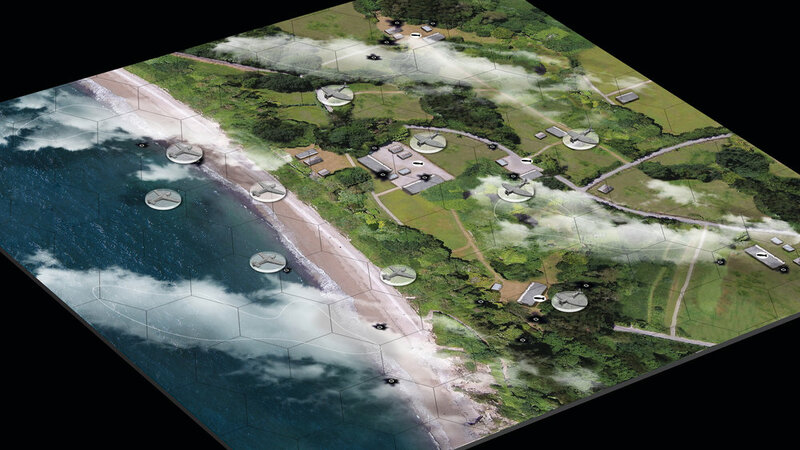 Swoop in behind your enemies for massive firing bonuses, protect your six with cloud cover & tactial maneuvers. Expertly cast miniatures mounted onto tough, laser etched acrylic discs make for beautifully practical playing pieces. 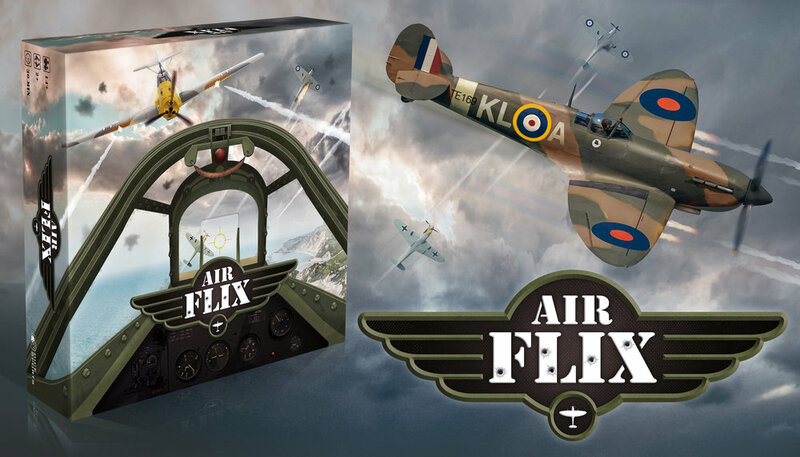 The Kickstarter collectors edition of Air Flix comes bristling with ultra high quality components, including a 3'x3' neoprene play mat, 12 laser etched acrylic discs, 12 highly detailed plane miniatures, thick, plastic coated card stock and 5 custom combat dice. Duke it out at 30,000 feet in classic "fighter versus fighter" dogfight action. The rules are simple, just shoot down the opposition! The last team standing wins the game. Supremacy is the most flexible mode, with optional rules that can be used to change the feel of the game. It can also be played with any number of planes allowing for shorter or longer game times, just roll out your mat and start flicking. Blitz is an asymmetric mode in which one team is trying to bomb key targets on the map, while the other team is doing everything they can to stop them. This mode is played using both fighters and bombers, with only the bombers able to hit the targets. The bombing team wins when a predetermined number of targets are hit. The defending team wins when all opposition bombers are destroyed. The Kickstarter exclusive, collectors edition of Air Flix will be launching on Kickstarter June 5th 2018 with numerous exclusives and add-ons. Own the skies this June, with Air Flix, on Kickstarter!